Mumbai, also known as Bombay, is the most populous city of India, and one of the most populous cities in the entire world with a population of around 18 million people. It is also the wealthiest city in India, and has the highest GDP of any city in South, West, or Central Asia. Originally the area was home to fishing colonies, but it grew larger and larger every century until it became the great city it is today. It is also one of the world’s top ten centres of commerce now, and a large financial hub in Asia. Tourism is also high in the city, with many traditional and more modern buildings and attractions available for tourists, including the Bollywood film industry. We have collected the top 20 things to do in Mumbai if you happen to visit the city and want to see what’s popular here. The Gateway of India was built to commemorate the visit of King George V and Queen Mary to Mumbai. Built in an Indo-Saracenic style, the great arch is a prominent landmark of both Mumbai and India itself as it overlooks the harbour. It’s a great starting place for tourists, similar to its name, as it is located close to other great attractions as well. The Elephanta Caves are a few kilometres from Mumbai and are said to be the oldest rock cut structures in India. The Hindu caves contain rock cut stone sculptures, representing the Shaiva Hindu sect, dedicated to Lord Shiva. It’s a perfect example of archaic Indian art which can be dated back as far as the 5th or 8th century. 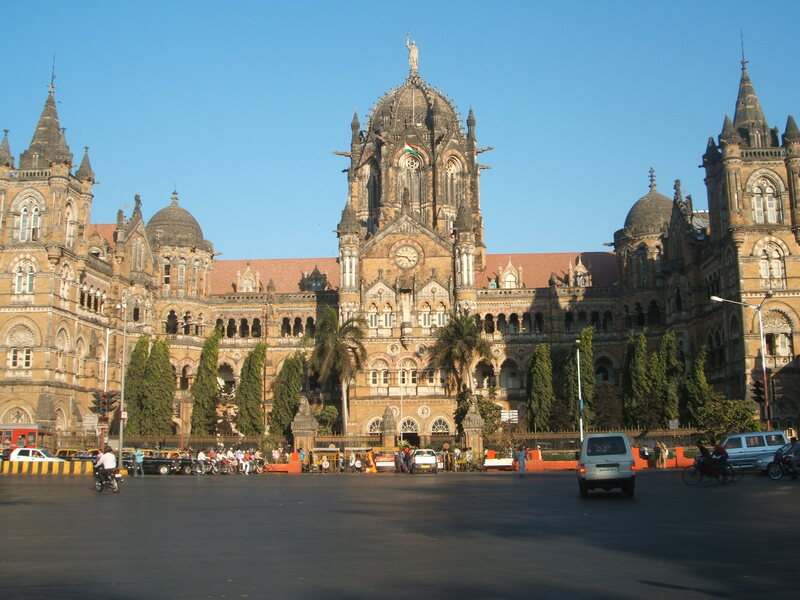 Coming here is one of the best things to do in Mumbai if you are interested in historical Indian architecture and art. 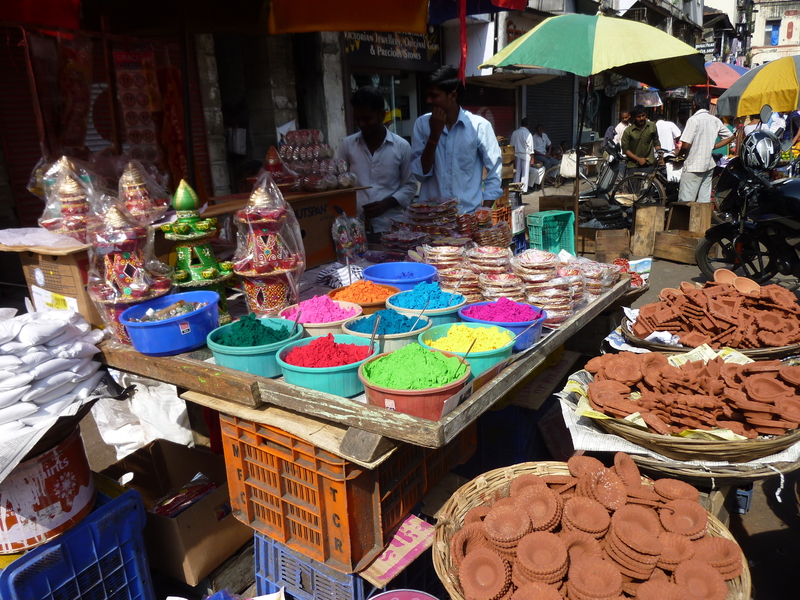 The Colaba Causeway Market is the best for shopping, especially if you are a tourist. You can see all kinds of goods, usually at a cheap price, including jewelry and clothes. If you are tired or you want to grab a bite then you can also try one of the local restaurants or food stalls and try some Indian food. 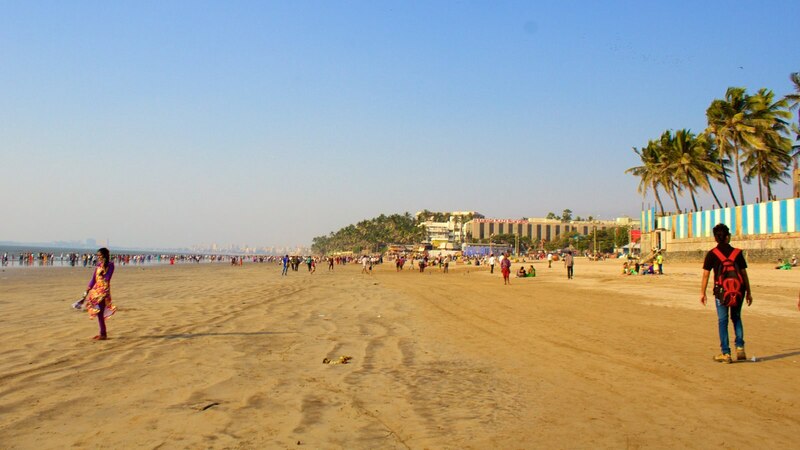 The Juhu Beach is great for beach activities as well as coming here during the night, as that is the time when it truly comes to life with all the parties and bars awaiting people. The area around the beach is also quite pretty and it’s home to many celebrities in India, many of which often come here to shoot scenes for movies. The Chhatrapati Shivaji Terminus is a historic railway station in Mumbai built in a Victorian Italianate Gothic Revival architecture style. It was originally built and named to commemorate the Golden Jubilee of Queen Victoria, but was renamed not long ago. It’s a busy railway station, so expect a lof of people, but it is worth seeing for its beautiful design. Film City is an integrated film studio complex situated in Mumbai. It has several recording rooms, gardens, lakes, theaters and grounds that serve as the venue of many Bollywood film shootings. Many of these are can only be visited under a guided tour, as most of it is in use usually. 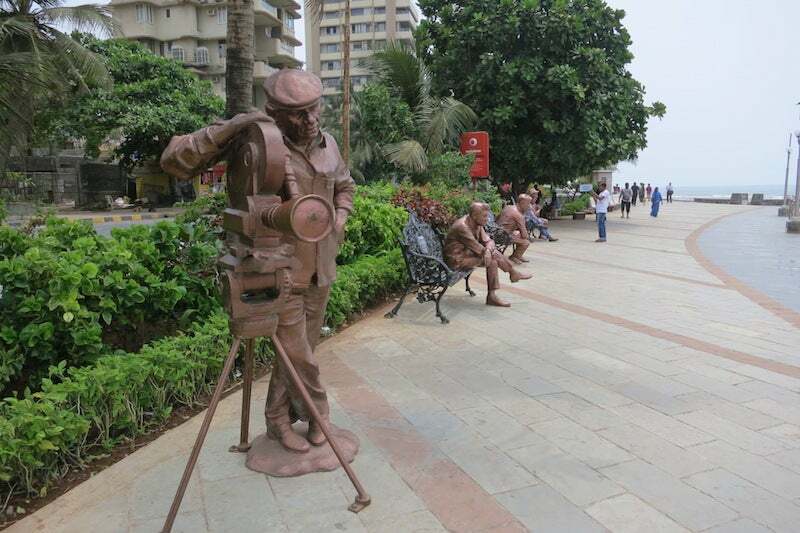 This area is very important to the Bollywood film industry, and because of that, it is very famous and popular among both tourists and citizens. 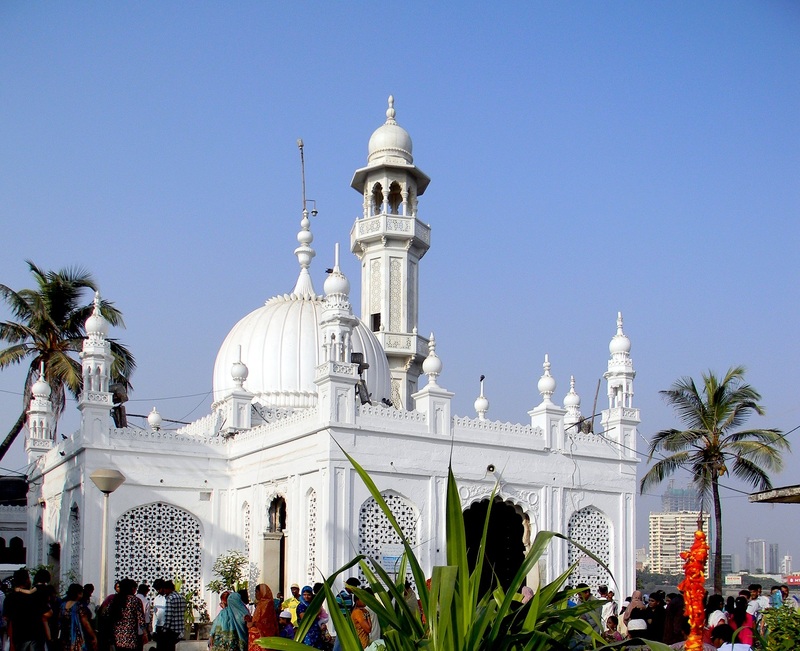 The Haji Ali Dargah is a mosque and dargah (tomb) in Mumbai,and a famous religious place. It’s a fine example of Indo-Islamic architecture, and worth visiting for its beauty. Although we advise everyone to be respectful and mindful of the religious people going there, as it’s a holy place for them. 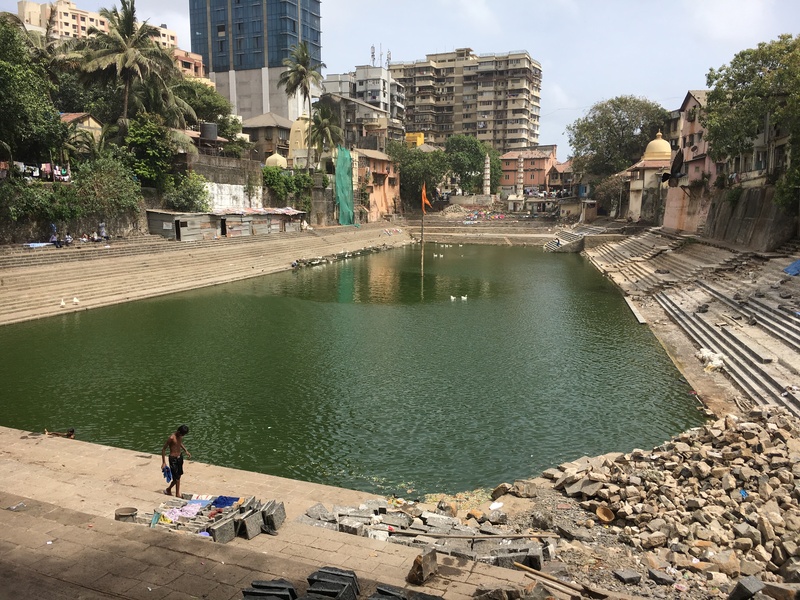 The Banganga Tank is considered to be a subsidiary or tributary of the holy river, the Ganges. Thousands of people come here to take a dip or offer flowers as the water is said to have healing powers. The water tank is part of the Walkeshwar Temple Complex, so it is advised to visit the temple as well as that is also quite beautiful. 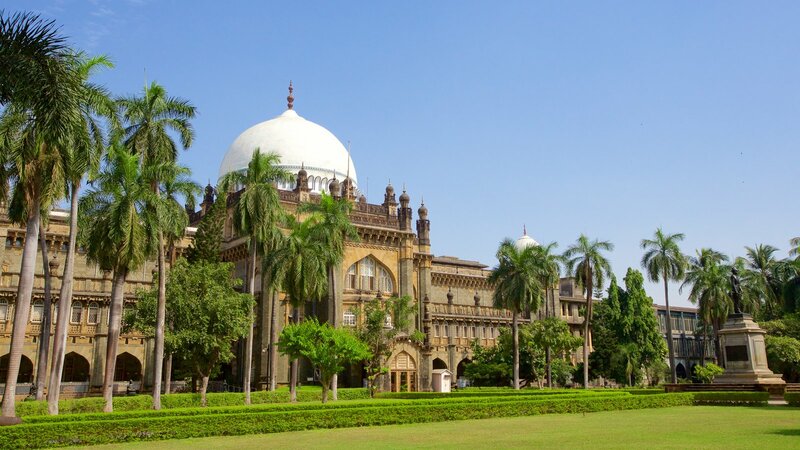 The Chhatrapati Shivaji Maharaj Vastu Sangrahalaya, formerly known as the Prince of Wales Museum, is a museum focusing on the art, archaeology and natural history of India, and has around 50 thousand artifacts and objects related to this. Visiting this museum is one of the best things to do in Mumbai if you want to know more about ancient Indian history, as the statues, objects and works of art that can be seen here are quite wonderful. The Siddhivinayak Temple is a Hindu temple dedicated to Lord Shri Ganesh. There are images, statues and sculptures of Ganesha, and the very building itself is designed according to the worship of him. The building has a very unique look, making its visit worthwhile at least, not to mention all the worshippers and even Bollywood celebrities who come here every day to pray. 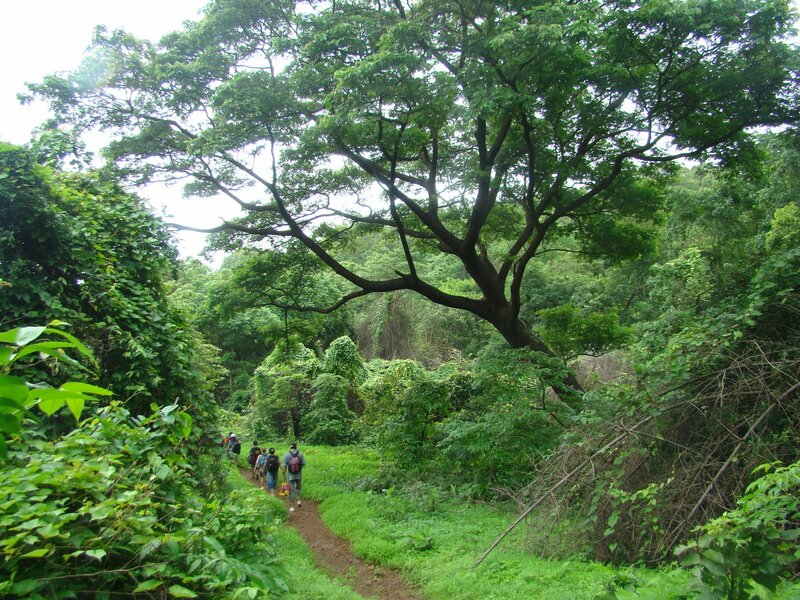 The Sanjay Gandhi National Park is a large park surrounded on three sides by the city. It is one of the most visited parks in the world, with around 2 million people visiting it every year. The park is filled with beautiful plants, all kinds of animals, high points which provide excellent views of the city, as well as lakes, rivers and waterfalls, not to mention all the statues and memorials. 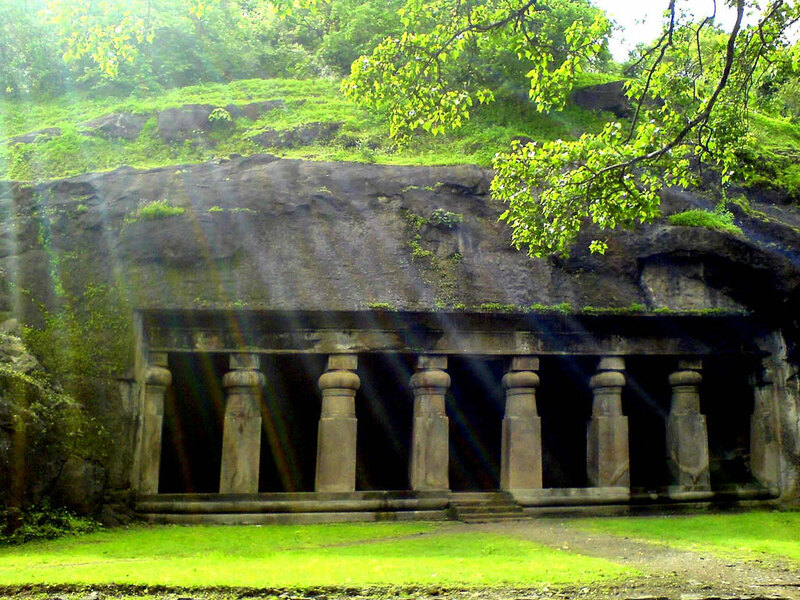 The Kanheri Caves are located in the Sanjay Gandhi National Park. They are a group of caves and rock-cut monuments formed from a massive basalt outcrop in the forests of the park, and contain very old Buddhist sculptures and relief carvings, paintings and inscriptions. It’s a perfect example of archaic Indian art which can be dated back as far as the 1st century BC. Be sure to visit the caves if you come to the national park, as the experience is only complete with this on the list. The Mahalakshmi Temple is one of the most famous temples of Mumbai, and was built by a Hindu merchant who dedicated it to Mahalakshmi, the central deity of Devi Mahatmyam. The Mahalaxmi temple contains images of the so-called Tridevi goddesses: Mahakali, Mahalakshmi, and Mahasaraswati. During the days of the Navaratri festival, thousands of devotees come to this shrine to witness the celebrations and stand in long queues holding coconuts, flowers and sweets which they offer to the goddess. 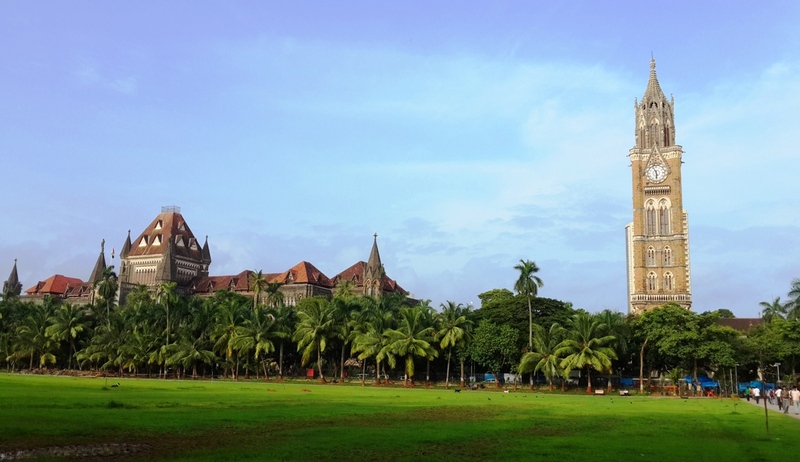 The Rajabai Clock Tower stands in Mumbai University Fort Campus located next to the High Court and it’s 85 m high. It is modelled after the Elizabeth Tower (Big Ben) of London, and is just as beautiful as that one. Many people here to hear the tunes that play at regular intervals and see the wonderfully designed tower. The Kamla Nehru Park might not be as famous as the national park mentioned above, but it is quite popular among children and youngsters, especially thanks to its spectacular view of the the city, Chowpatty Beach, and Queen’s Necklace (Marine Drive), and a structure shaped like a shoe, which is inspired by the nursery rhyme “There was an Old Woman Who Lived in a Shoe”. Nevertheless, the park and its garden is quite beautiful and well worth a visit. The Dr. Bhau Daji Lad Museum is the oldest museum in Mumbai, and it houses a large number of archaeological finds, maps and historical photographs of Mumbai, clay models, silver and copper ware and costumes. It’s probably the best place if you want to learn more about the history of the city and its surrounding region. The Walk of the Stars is located on the Bandstand Promenade and just like its name suggests, it is inspired by the Hollywood Walk of Fame. It features statues of famous Bollywood stars and about 100 brass plates embossed with the handprints and signatures of other stars. The Taraporewala Aquarium is a highly popular and old aquarium in Mumbai. In the aquarium’s 16 sea water tanks and nine sweet water tanks, there are 31 types of fish, while 32 tropical tanks contain 54 kind of fishes. But the main feature of the aquarium lies not in the large number of fishes, but the beautiful and large fish tanks and the different kinds of exhibits and activities it provides. The Global Vipassana Pagoda is a uniquely shaped Meditation Hall in Mumbai that was designed after the Shwedagon Pagoda of Myanmar (Burma). It was built out of donations, and serves to share information about Vipassana and remove misconceptions about the Gotama the Buddha and his teachings. Khotachiwadi Village is located in the Girgaum district of Mumbai, which is famous for its pristine beach, Chowpatty. It has old-Portuguese style houses which have been home to the original inhabitants of the city of Mujmbai, the East Indian Christians. This charming little part of the city is worth a visit if you wish to see a less crowded and more humble neighborhood. Visit Beautiful Places's profile on Pinterest.